Your home will appeal to more potential buyers. You will be forced to organize and de-clutter. The likelihood of a quick sale increases. Proper home staging helps you justify the asking price by creating a favorable impression in the buyer's mind. You should stage both the inside and outside of your home. Make sure the exterior of your home is clean and neat. Add some seasonal potted plants on the porch or at the entryway. Studies have shown that yellow flowers excite and stimulate potential buyers. The interior of your home should be spotless. Opening curtains and adding fresh cut flowers creates a fresh impression. A motivated buyer wants to find and purchase a new home as quickly as possible. Therefore, your home must be ready for your Realtor® to show at any time. It should remain clean and uncluttered. If you have pets, it may be a good idea to have them stay with a friend or relative. Keep the lawns mowed and walkways and porches swept. Encourage family members to make beds, pick up clutter, and wipe bathroom sinks and countertops. Practice a quick five-minute pickup so that if your Realtor® calls with a desire to show your home immediately, it will be ready when the potential buyers arrive. A buyer’s inspection discloses unexpected and potentially costly problems. Having both the appraisal and the inspection done prior to listing your home allows you to either lower the price and fix the problems, or be prepared for negotiations. Additionally, positive reports give your Realtor® an excellent marketing tool. Fred Franks of Local Realty Service said, "It's important for homeowners to get a true value of their home before they place it on the market. That's why it's a good idea to consult with a professional Realtor®." A detailed property description, including square footage of all rooms, total square footage of property, lot size and year built. Description of any updates or remodeling that has improved the value and look of the home. Special home amenities such as a walk-in pantry, wine cooler, or home theater. A professional Realtor® will use methods of marketing that allow your home to be seen by the highest number of people possible. Remember, the more people who are exposed to your home, the greater the chance you have of selling it. Advertise the open house in available venues. Allow visitors the opportunity to move through your home at their own pace. Have the open house scheduled on the weekend in the early afternoon. Make arrangements to be elsewhere during the open house so that potential buyers are comfortable openly asking your Realtor® questions about the property. Schedule the open house at the same time there are other open houses in your area. 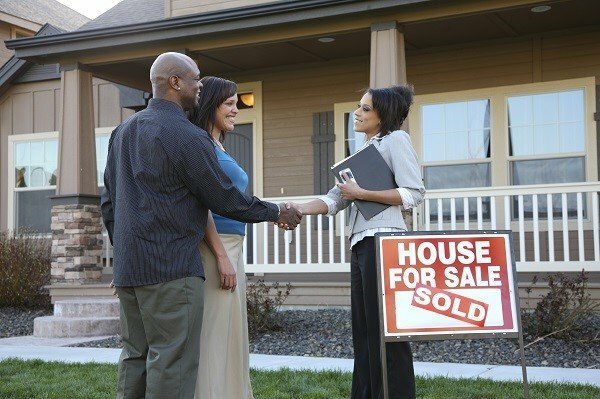 Strategically placing signs leading people to your open house. Take pictures of your home. Your Realtor® should take multiple quality pictures of your home both inside and outside. Place the listing for your home on the Multiple Listing Service (MLS) providing access to approximately 3000 local Realtors® and prospective buyers – locally, nationally and internationally. Design marketing materials such as brochures and postcards featuring your home. Make a visual home tour for web-sites and to be put on CDs for prospective buyers. Place the listing of your home on all available Internet sites. Prepare a personal home book detailing all the features and amenities of your property, area and neighborhood information – everything a prospective buyer may wish to know about your home. Prepare add copy and list your property in local advertising venues. Put up yard and directional signs. Send promotional flyers to other agents. Target market your home to certain demographics or resident lists. Your Realtor® will want to draw people to your home. To do so, they will use several different types of signs. Directional signs at main intersections to encourage a quick drive-by look of your home. A detailed For Sale sign on the lawn in front of your home. The sign may have a brochure or information sheet available for prospects to take with them. “Curbcall” sign showing a number to call for immediate information on your home or to schedule a showing. One reason to have a professional Realtor® involved in marketing your home is that they know some important keys for success. For example, they realize the importance of pricing with round numbers. Studies have shown that properties listed just above or just at 00 sold in about 2-and-a half weeks, compared to four weeks for those listed with 99 – i.e. $300,000 instead of $299,000. Additionally, your Realtor® knows the importance of photographs and videos, as they turn those who are simply looking at properties into someone desiring to see the actual home. Your Realtor® may have the experience to provide excellent photos themselves, or they may use someone in their office or even a professional photographer. They also realize the importance of having pictures of the interior or exterior, bathrooms, bedrooms, kitchen, and other living areas, emphasizing the most desirable features your home has to offer. Remember that your Realtor® knows the best way to market your home to sell and may not use all of the options mentioned in this article. If the major part of your home’s desirability is the neighborhood, your Realtor® will use a different emphasis than if your home’s appeal is an updated and extremely attractive interior. However, whatever methods you and your Realtor® decide are the best options, marketing your home to sell will attract the prospective buyer ready to make your for-sale house their new home.